On Scene: Emergency Lighting & Sirens--We've got you hooked up! Emergency Lighting & Sirens--We've got you hooked up! 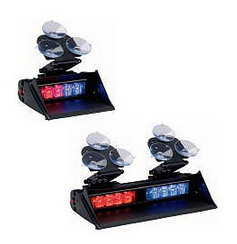 Did you know we sell all sorts of awesome Emergency Lights & Sirens at TheFireStore? We know that getting to the scene or the firehouse in time to catch the truck is important. People are depending on you to be there during their emergencies, so having some good Emergency Lighting and Sirens are important. We sell some great brands including Code 3, Federal Signal, and Sound-Off. Here are some of our favorites from each brand that we think you'll love to take a closer look at. XT4s with retractable side guards and a visor to prevent light flashing into driver's eyes. 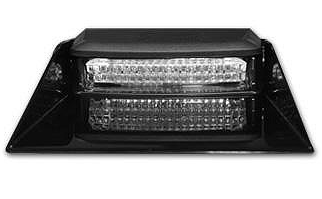 Some other CODE 3 Products we think you'll love...The Quadrant Mini-Bar LED, and the Visor Flip Light, LED. Be seen, heard, and FELT! 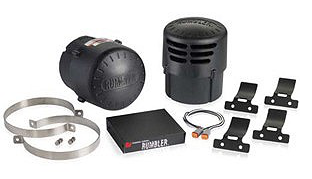 The Rumbler® is a revolutionary new concept to audible warning. Intersection clearing system Upgrades user safety and siren effectiveness Can be used with most available siren products Vibrating tones provide feel with emergency warning sound Ideal for use in highly populated urban environments. Some other Federal Signal Products we think you'll love....the Q2B Siren, and the MS4000 Undercover Siren w/ Remote. Single Windshield Light with Intense Forward and Off-Angle Illumination Driven by Nexus Technology.